After the closure of Aberdeen's Convention Bureau, Alison Ledger talks shop with Steve Harris, CEO of the city's new destination marketing organisation. How will the recent closure of the Aberdeen Convention Bureau affect associations? The bureau provided services for conferences but, as the partnership between Visit Scotland and Aberdeen City Council has ended, we will pick up these services. We have been successful in hosting association events, largely because of our oil and gas industries, and we will continue to build on this. We want to talk to associations to ask what value we can give to them and how we can make it easier to come to Aberdeen. Previously, subvention was available in the form of a national bid fund via Visit Scotland's Business Tourism Unit. Will this still be the case? It is a little too soon to talk about this now, but subvention is part of our business plan and is a priority for us. There are huge opportunities for associations that want to hold conferences at the back end of the week or over weekends when the city is less busy. Why is Aberdeen a good choice for associations? Aberdeen is dynamic, forward-thinking and an ideal location for events. The airport serves 22 international destinations and London is a 60-minute flight away. It is well connected via major road and rail links, too. Aberdeen has a strong academic background and thriving energy sector that make it a good choice for associations in these fields. It seamlessly blends the traditional with the modern and offers everything from imposing Scottish castles to cutting-edge exhibition spaces. By the end of 2012, Aberdeen will have hosted 20 association conferences, attracting around 6,000 delegates. At present, we have confirmed 17 events between 2013 and 2015, with an expected delegate attendance of 3,000 to 4,000. What type of associations does the city attract and why? Aberdeen is the global energy hub of Europe and its predominant industry is the energy sector. With this connection, a number of associations within this sector choose Aberdeen. For example, the World Heavy Oil Congress attracted around 1,000 delegates to the Aberdeen Exhibition and Conference Centre (AECC) in September. Also, we have a number of renowned universities and research institutions that attract association business from the medical or life sciences sector. What is Aberdeen's ICCA ranking? Aberdeen is currently 121st in the ICCA European Rankings as we secured eight international ICCA-qualifying conferences last year. This is an increase over previous years and continues to improve year on year. We believe this is due to our very strong ambassador programme and the proactive local academics wishing to submit bids, a new marketing campaign and additional PR exposure. Since launching the programme in 2001, Aberdeen has worked closely with the University of Aberdeen, Robert Gordon University, research institutes and businesses to bring conferences to the city. Many of the 300 ambassadors have a high profile within specialist fields such as oil and gas, health, food research, science and environmental research. Securing a conference for Aberdeen gives them a wider platform on which to promote their work. With two renowned universities, as well as the James Hutton Institute for research into land and natural resource use, the ambassador programme is a great way to harness and support our academic knowledge base and attract association conferences worth £1 billion a year for the economic benefit of the city. The Aberdeen Douglas Hotel has planning permission to become a four-star hotel in 2013, with new conference facilities for up to 300 delegates. The 194-room Courtyard by Marriott will open near the airport in spring 2013. Aberdeen Airport has outlined a 30-year masterplan. Further to the £10 million runway extension, completed in 2011, highlights include a £100 million capital investment plan over the next two decades, major refurbishment of the terminal building, space for further runway expansion as demand requires it, and a 40 per cent rise in passenger numbers by 2040.Lufthansa's thrice daily service to Frankfurt will have an onward connection to Houston from October 2012, providing travellers with greater flexibility. What partner programmes are available? Along Aberdeen's cobbled streets you'll find its history embodied in galleries and museums. A short walk from the city centre is a seven-mile beach and a 16th-century fishing village. There is a golf course for every week of the year, castles and activity parks. The only malt whisky trail in the world lies an hour away, with eight distilleries, including Glenfiddich, open for tours. 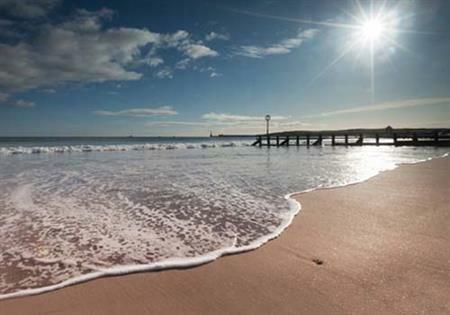 For an association event planner's guide to Aberdeen, click here.